The Great And Scary Benefits Of Using Real Estate Plugins - Home Junction Inc. If you are a broker or agent and don’t use a WordPress website, you are basically missing out on real estate plugins and thousands of other cool features (many free) that you can provide to visitors. And if you aren’t working with a seasoned developer for WordPress real estate websites, you might be adding some features that could put your site at risk. Last count, there were 52,000 plugins available on WordPress. More than two hundred show up in a search for real estate plugins alone. (Many others that brokers might want to add, such as contact forms, can be found in the general selection). Plugins are basically like the apps you download for your phone. They are tools to help with lead capture, navigation, search engine optimization, photo galleries and thousands of other uses. In fact, there is basically a plugin available right now for practically anything. One of the incredible aspects of WordPress is that it is an open-source platform. Which means outside developers are encouraged to create these bits of software that can be integrated into the WordPress platform. Remember, WordPress started as a way to provide a simple tool for bloggers. And it caught on big time. Now 41.7 million new posts are published every month on this platform. This platform is so successful that it has become one of the leading content management systems in the world. WordPress is like the iPhone of website software. Smartphones and iPhones are incredible devices. You can carry a phone in your pocket, surf the web from a coffee shop and shoot pictures and videos better than most cameras on the market. But when you consider the thousands of apps that are available for iPhones and smartphones, then those devices literally become phenomenal. A device you must own. Same thing with WordPress real estate plugins. Many plugins are free. Some are very cheap. Others cost more but are worth every penny. Many times you can try a limited version and then upgrade to a paid plugin with more features. The founders of Home Junction Inc. have been involved in the real estate website business for the past 20 years. Their most powerful plugin is a real estate data API that basically gives brokers and agents a way to add a vast warehouse of current and accurate real estate data. That real estate plugin allows a broker or agent to add super hyper-local information, right down to the neighborhood level. For example, on the Butler & Butler real estate website, you can look at several communities with homes for sale. When you navigate to one of those properties, there are tabs for Area Information, Schools, Recent Sales, etc. Home Junction fills those tabs with information that is updated regularly. Take Area Info for example. Click on the tab and you will see charts for changes in home prices for the past several quarters in specific communities. That’s not for the county. It’s not for the zip code. It’s for that particular community. A community that an agent might be farming. You can’t get more hyper-local than that. Home Junction also offers a geo-spatial, real estate plugin that allows brokers and agents to integrate maps into their website. We’re not just talking about a link to a Google map. We’re talking about real estate map technology that is integrated into a local MLS database. When a broker or agent pulls up a map on their website, they can show the location of homes for sale in that area. Then it goes further. In addition, they can also show which amenities – such as schools, golf courses, restaurants, highways, etc., are in proximity to those properties. That tool alone can significantly boost the price and appeal of any home. As savvy brokers and agents know, home buyers don’t just buy a home, they buy the neighborhood (and the schools). These real estate plugins help buyers get a true understanding of not only the value of the home, but also the value of nearby amenities and a current snapshot of market conditions. 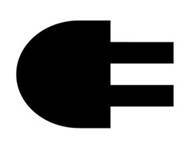 Now, as we said there are tens of thousands of plugins available through WordPress. If you don’t have a WordPress real estate website, you should seriously consider adding one because you will have access to all these incredible tools and features. You can add an incredible number of new tools without hiring a coder to create them for you, at a significant cost and time delay. With WordPress, a broker or agent can easily add content, write a blog or upload photos. It’s literally child’s play. What a relief right? Here’s the next important factor to consider regarding real estate plugins. Just like anything on the world wide web, there are people out there with good intentions, and there are people out there with negative intentions. There’s another group which consists of people who are a little sloppy with their coding and create plugins with security holes in them. Every broker and agent need to be wary of the second two groups. Frankly, most brokers and agents don’t have the expertise nor the time to investigate every plugin. It’s a tough job. You could search through thousands of plugins, read the reviews, check out the number of users and even see when they were updated last. In addition, many hackers have a hobby of trying to punch holes in internet security. It’s important to keep all plugins updated to prevent any types of attacks. Also, some plugins can slow down a site or cause the site to crash frequently. That’s why working with a seasoned WordPress real estate website developer is a smart move. Get with the times. Jump on the WordPress bandwagon. And when you work with a company like Home Junction, you won’t need to worry. WordPress websites and real estate plugins are a powerful combination. It’s a winning strategy for any broker or agent, as long as they choose the right partner to guide them.